So you have decided to modify the interiors. Okay, we can help you out with the furniture too. Before diving into the scene, you need to have knowledge of various furniture styles that you can choose from or play with. A whole big range is available in the market and you need to choose from it carefully. Especially when you are adding some furniture in your living/drawing room, you need to have a very careful eye as to what suits your needs and which one will be the best out of the available a lot. The best blend of straight lines and curves can be seen in this style. The style offers a classic look in a very earthy setup. The style is marked by the place of use, i.e., the geographic area in which your home is and a mark of the same can be seen in the design. Symmetry is also a very strong standpoint of the style for instance whether the sofa set would have two single seating, or two double seating opposite the main sofa. The details are not very prominent and catchy. They are present and can be seen if you get a little more observant. 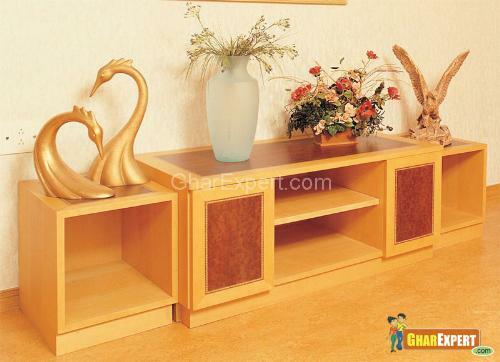 The furniture is not very expensive as it is a character of that place and uses quite less accessories. The emphasis here lies on colors which are used expressively and fabrics are usually laid with floral patterns. 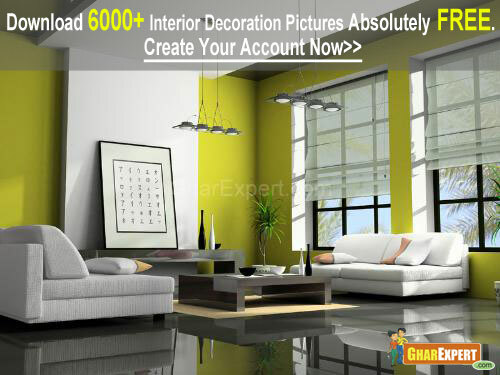 The setup doesn’t require any particular style for the rest of the interiors to look good; just let them be there. Although, a white painted ceiling can be recommended to make the room look big and spacious. This style looks the tidiest of all. It incorporates very neat, clean and confident lines. This means that each piece of furniture has its own character being within the circle of the whole design scheme. The furniture is not clustered with patterns and ornaments and each piece is made to look as an object of art. Within the design scheme of the room, if accessories such as sculptures and other aesthetic ornament are placed, they are given ample buffer space to make them stand alone, so as to make it feel a bit detached from the rest of the room though it forms a part of the whole scenario. The place is made virtually like a viewing gallery. And to add upon bright and bold colors are used and same is done in the lighting scheme. This can be called as the most ‘homely’ of all styles. It is made to feel cozy, warm and inviting. So, simplistic patterns and matching color tones are used. Hard rules such as symmetry are not followed and objects make their way in. Sober color tones such as soft pastels are used and the ambience created is a very intimate one. For this, one may recommend browns and grays. The surfaces are not made into glamorous ones using varnish and polish etc. but are rather kept either matte finished or a low luster finished. 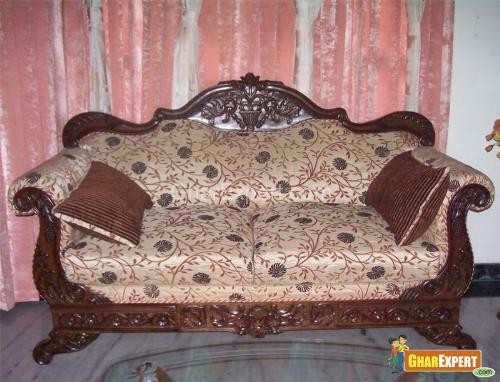 One of the best examples of this style is the typical wrought iron furniture and the use of cane furniture pieces in between. This is the setup used mostly in places where a high profile needs to be maintained, usually the place where you would treat guests that come for some business or are related to your profession. The place must have clean and bold lines and a high ceiling. 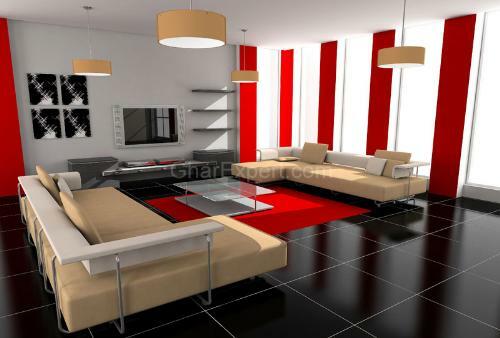 The furniture layout is done on symmetrical patterns usually on wooden flooring. The place is made glamorous by using glass, gloss and luster wherever possible. Reflections do the job and can be practiced using polished wooden laminate floors, vitrified tiles, varnished & polished furniture and upholstery. Also, one may go in for use of mirrors and smooth fabric like silk, velvet etc. for curtains, bed sheets and pillow covers etc. The empty walls also receive paintings whereas empty spaces receive art objects and lighting is done to cater to the same. At the end of the day, the choice lies up to the user to mix and match these and create his/her own style or just choose one. The most important part of the design is user satisfaction. If you feel orange cupboards go well with pink curtains, go ahead, experiment! It’s up to you, after all. Use only branded foams and cushion rubbers. Make use of polyester as well as cotton upholstery which can be dry cleaned easily. Use stain remover sprays and dirt cleaner solutions available in the market, but be sure to read the directions and use accordingly. Use moist foam or a soft cloth to clean leather and ‘Rexine’ surfaces. Apply ‘Melamine’ polish which works out mostly to be the best one for furniture. If some other part of the furniture gets stained with polish, apply thinner on the stain with a soft cloth and the stain will vanish. Use a simple scratch polish and apply along the grain for mild burns and scratches. Apply wax and rubbing to treat stains of milk and alcohol. Use water for stains of water based paints whereas use spirit to clean off the unwanted spots for oil based paints. Modern Interior design for Bedroom including Ceiling, flooring and Furnishing.